We are only ~30 miles from the SML Regional Chamber / Visitors Center (~40-45 minutes). See our map pin for directions, as there are (3) different routes you can take! Pretty Please on Broad is a Sassy and Classy Ladies Boutique located in the heart of historic downtown Altavista, VA, at 615 Broad Street; Offering fun fashion to suit your style without breaking your bank account! We strive to offer unique pieces in limited runs, giving you both comfort and confidence whether you are hanging with the Girls for the day, or stepping out at night. 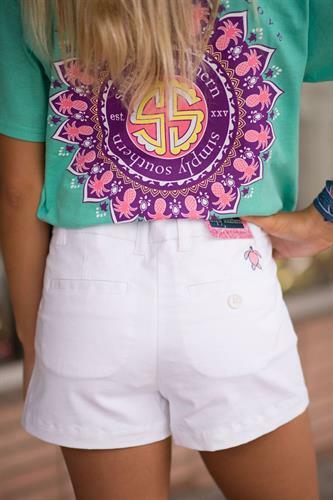 We carry such brand names as Simply Southern, Lilly Pulitzer, MudPie in addition to many unique, locally handmade gifts and accessories. We can customize anything purchased in store, as well as your own personal items or business swag with our Monogramming & Embroidery services! Looking for something VINTAGE? We have lovely vintage hats, gloves, purses and more in our little in-store shop 'The Vintage Stitch'.